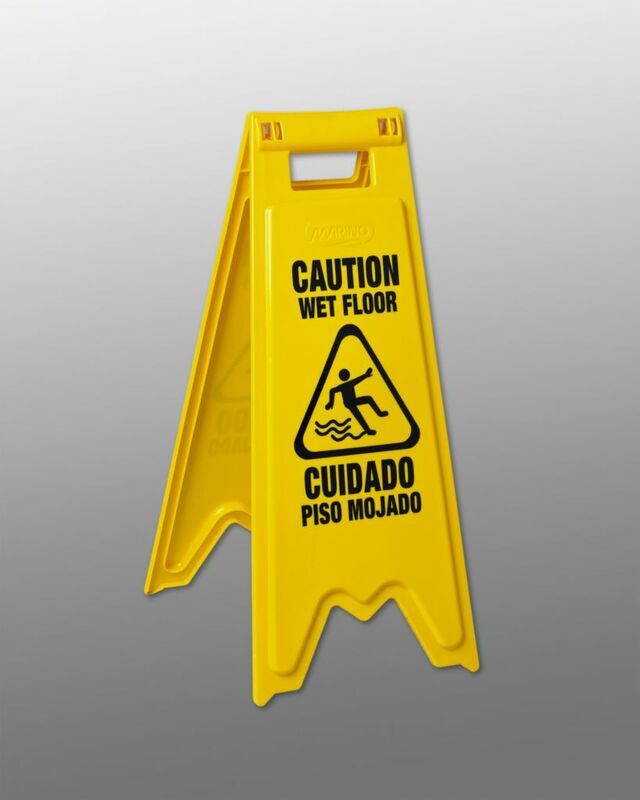 Bright yellow wet floor sign communicates the necessary warning message to help maintain safety. Printed in English and Spanish, on both sides. 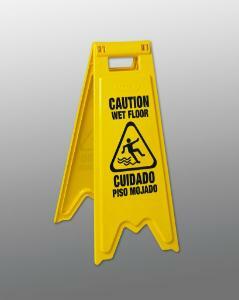 This 71cm (28") tall sign folds for convenient storage.